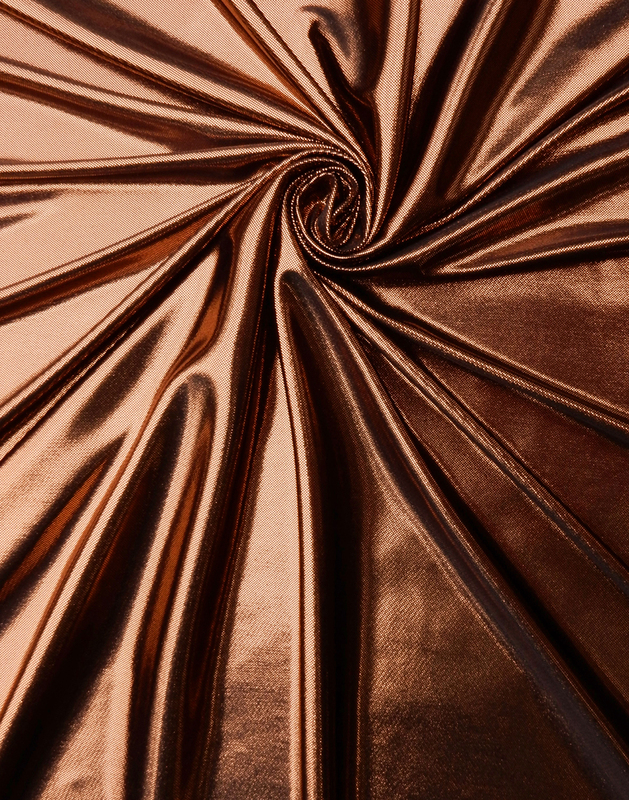 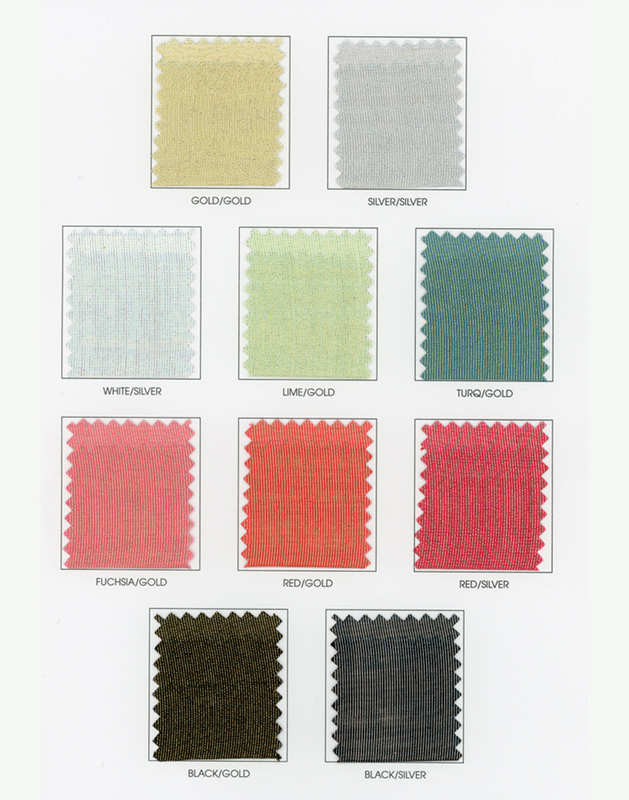 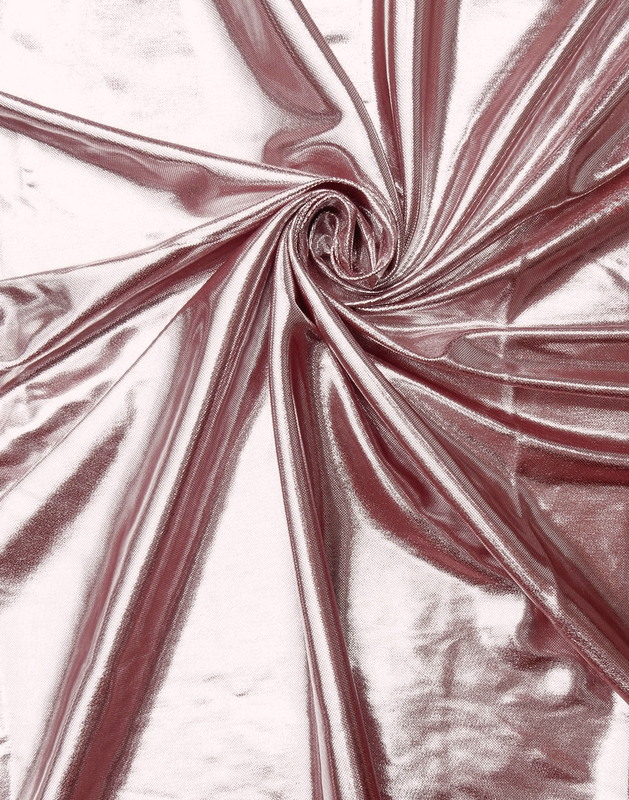 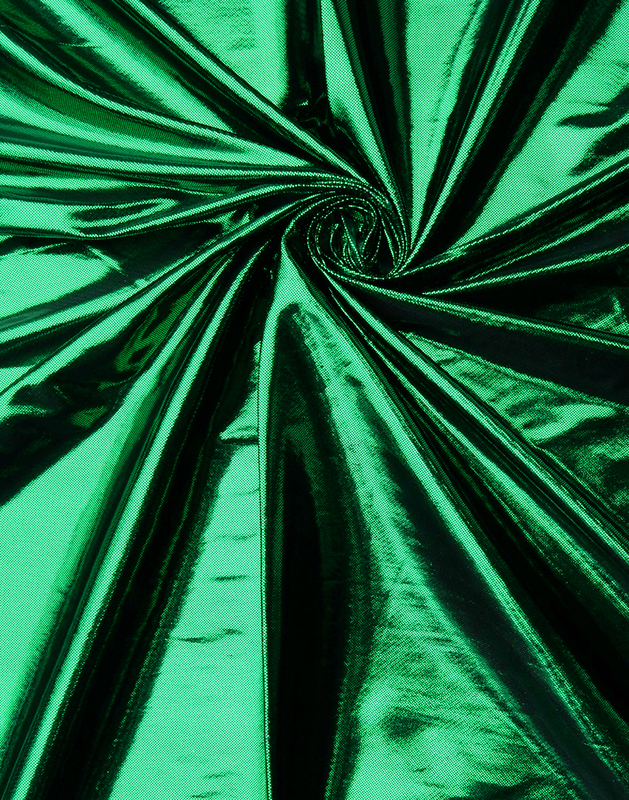 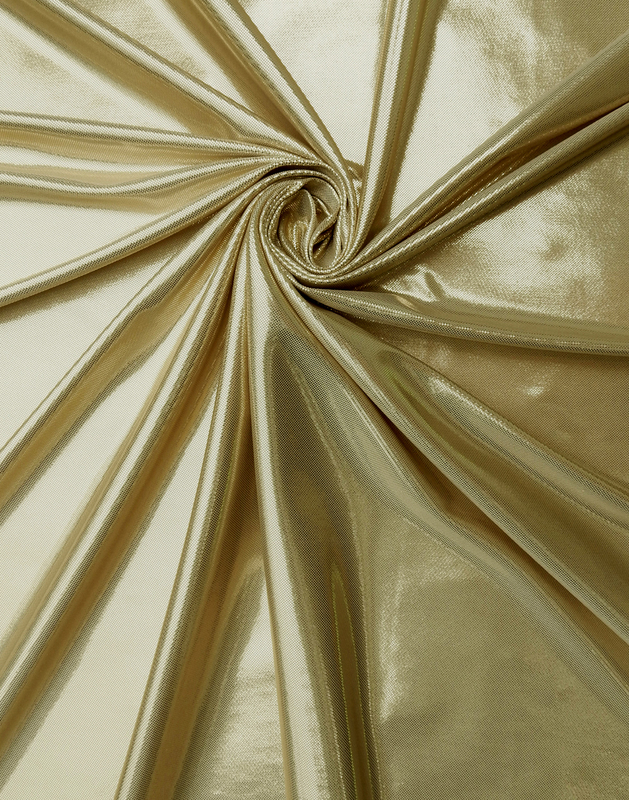 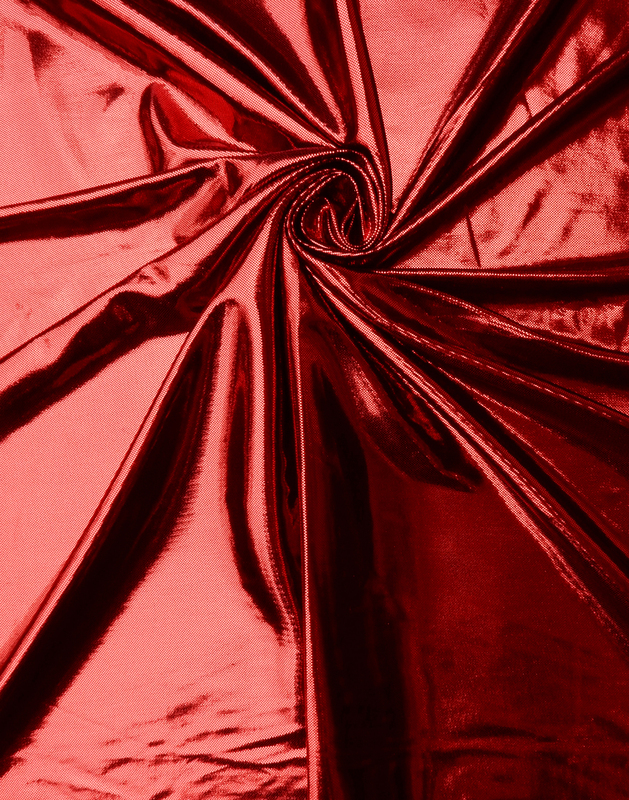 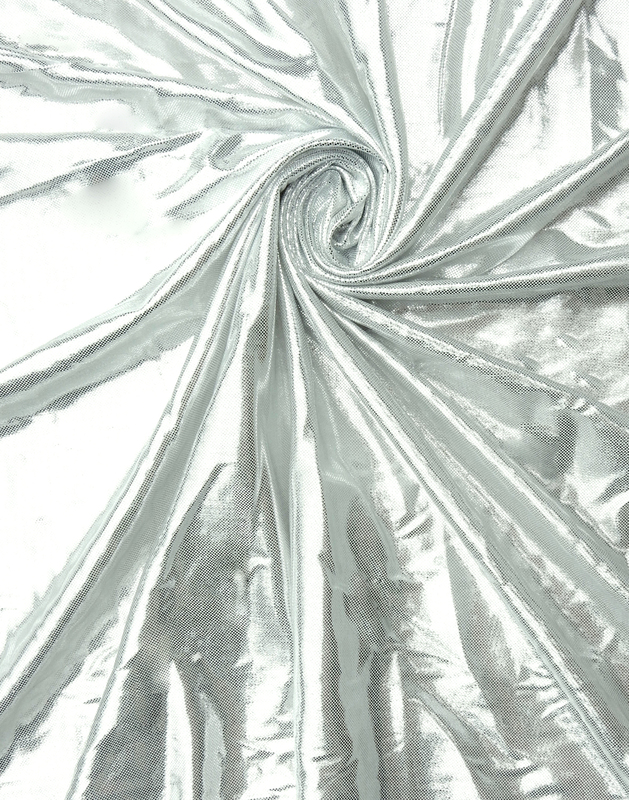 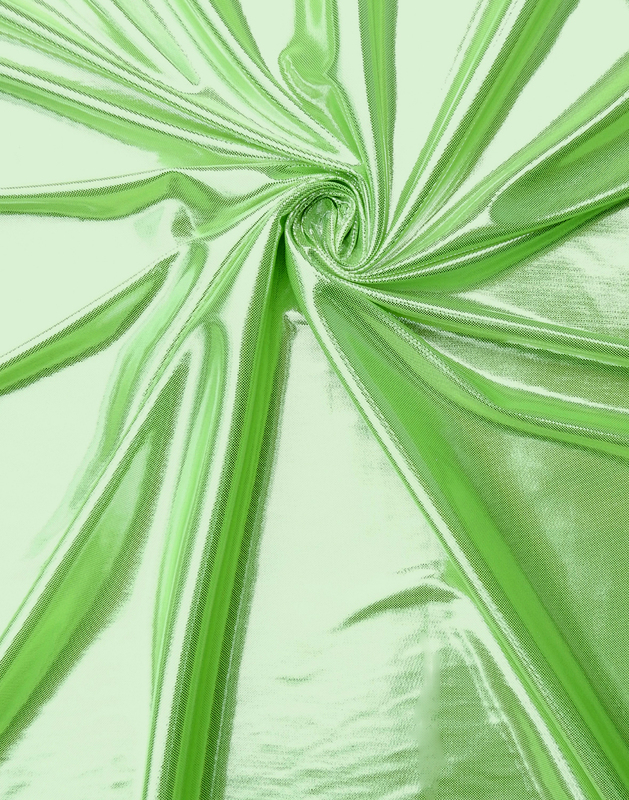 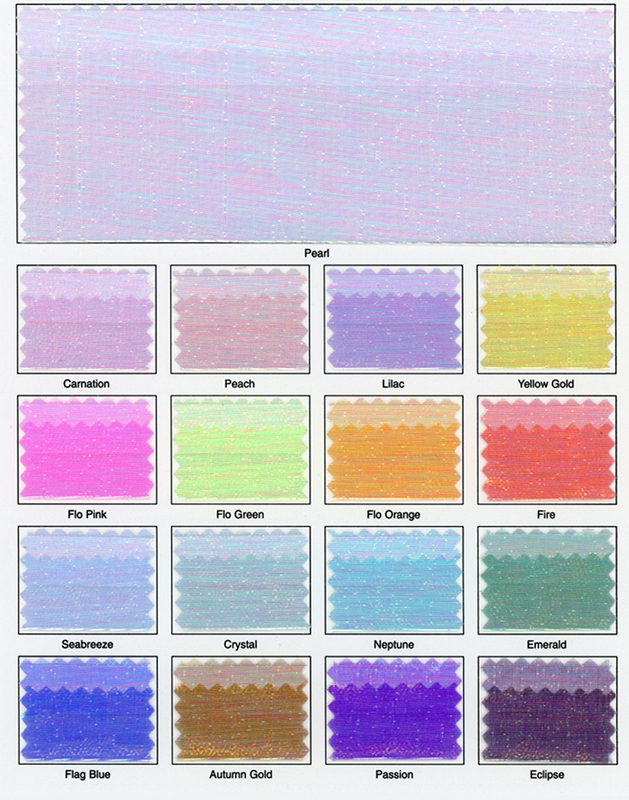 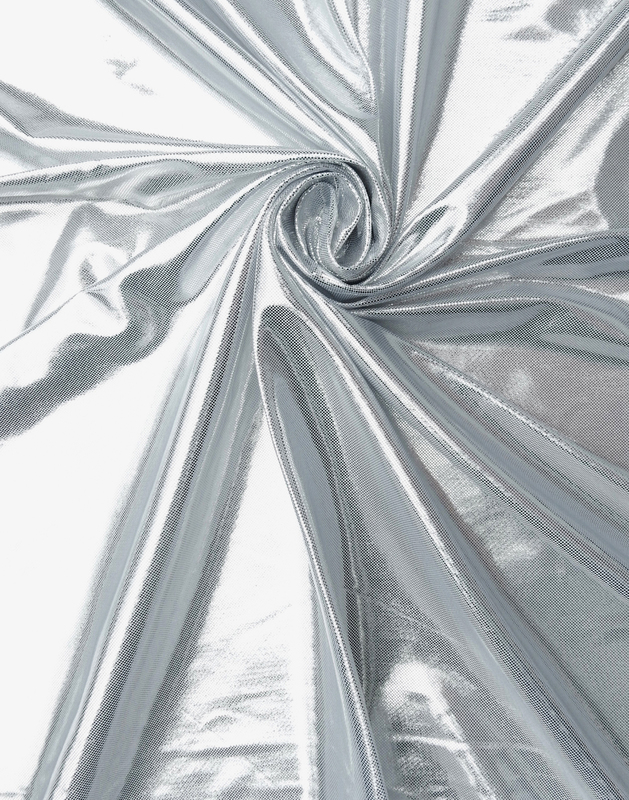 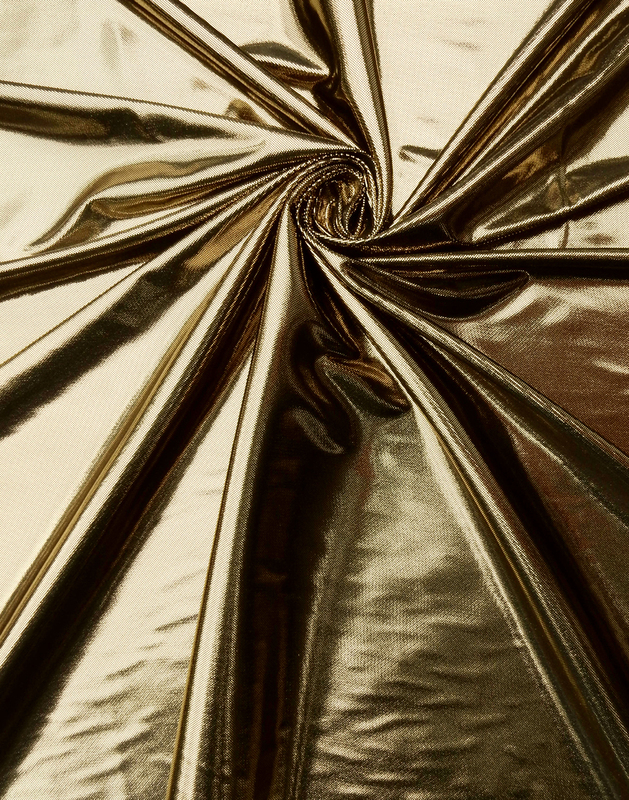 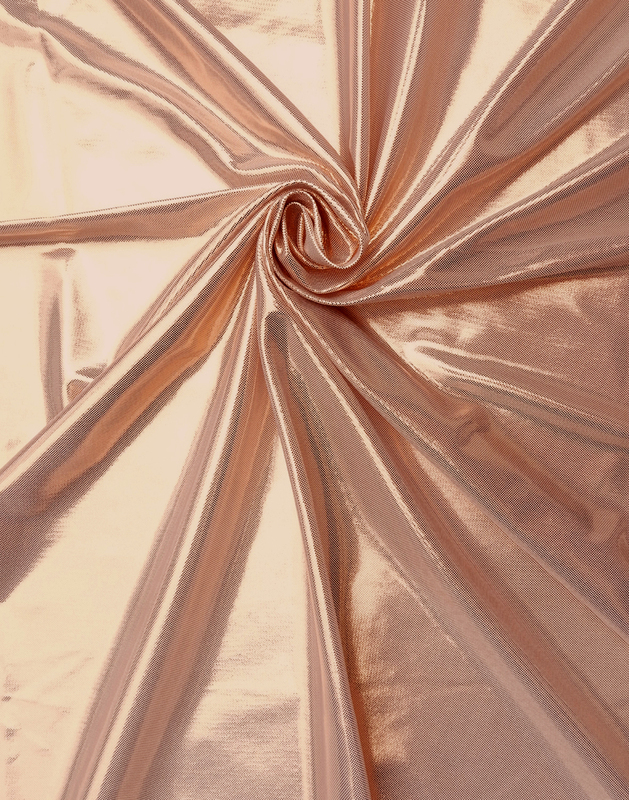 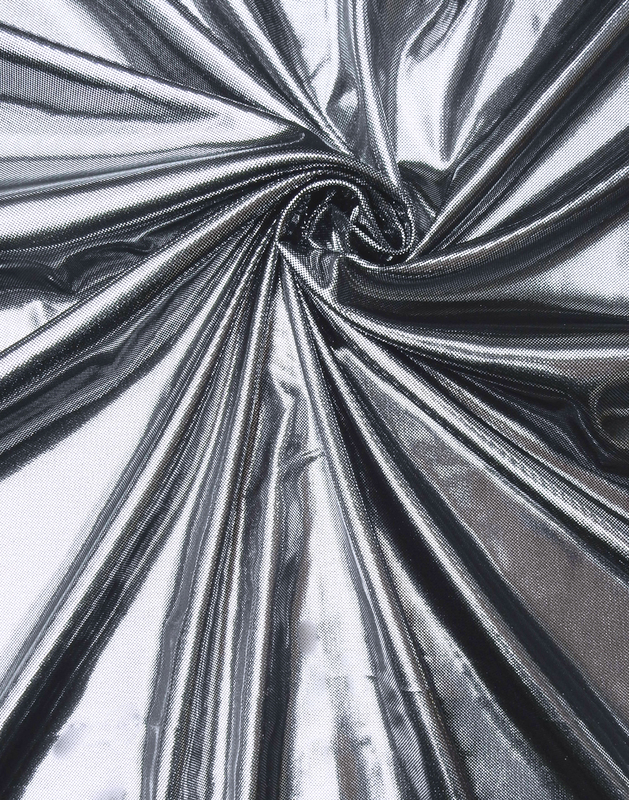 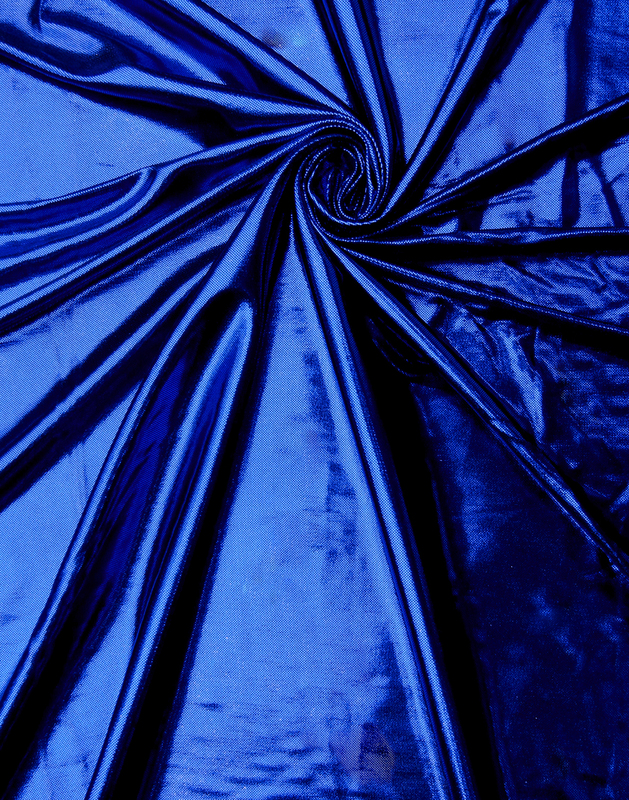 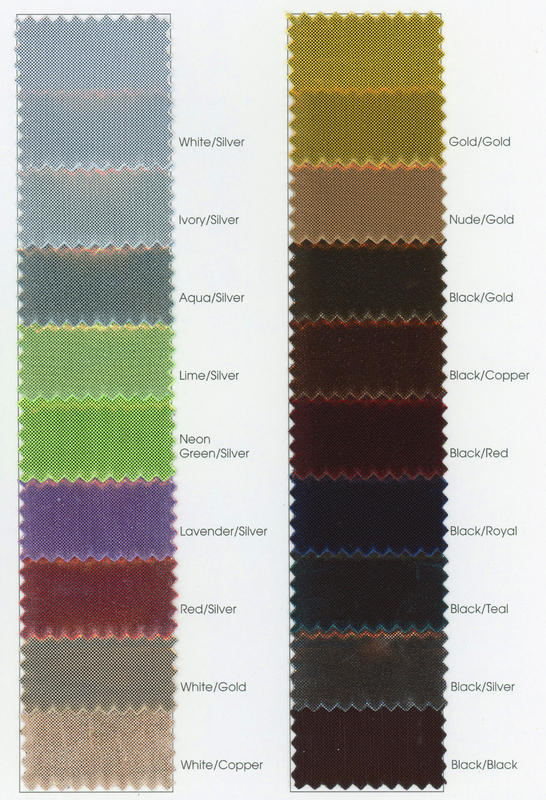 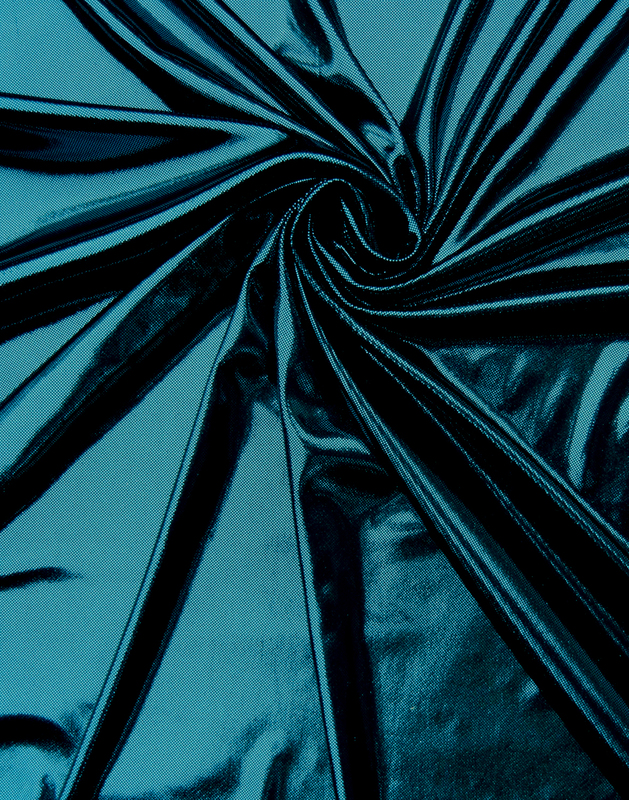 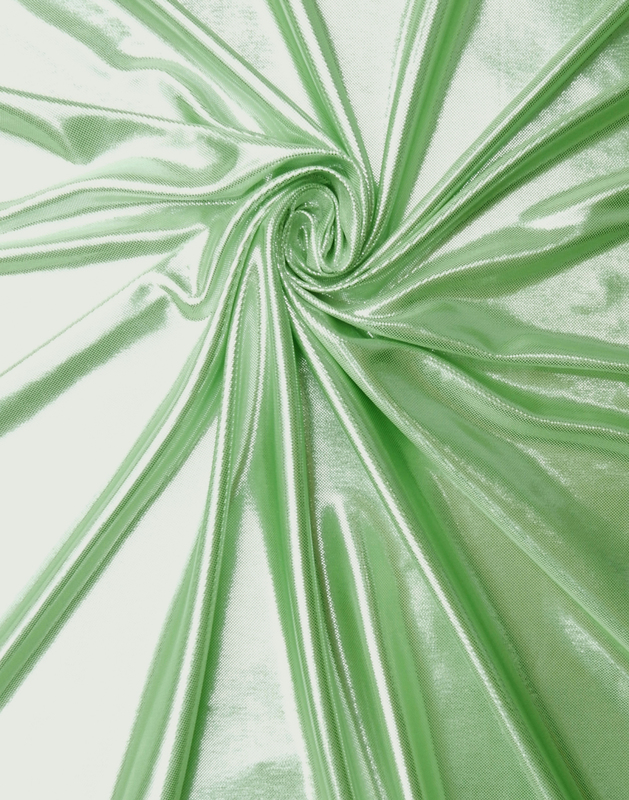 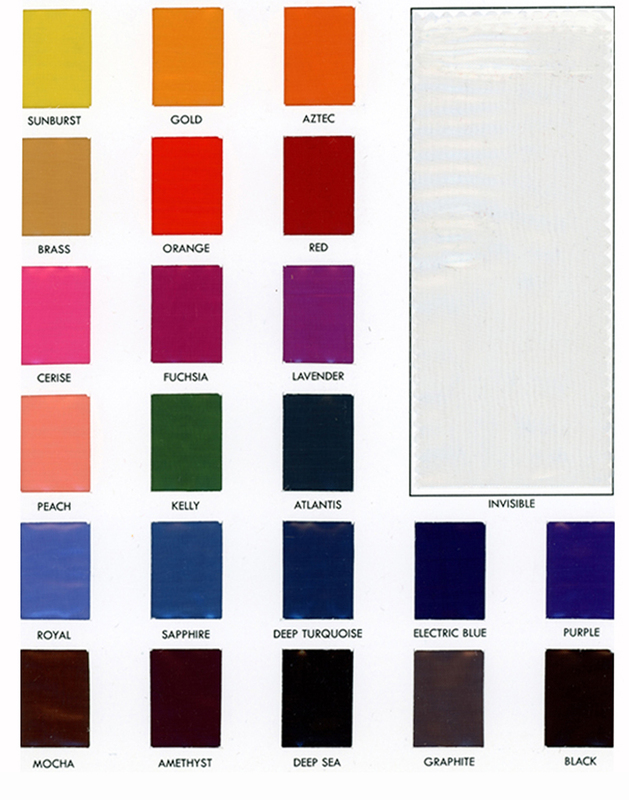 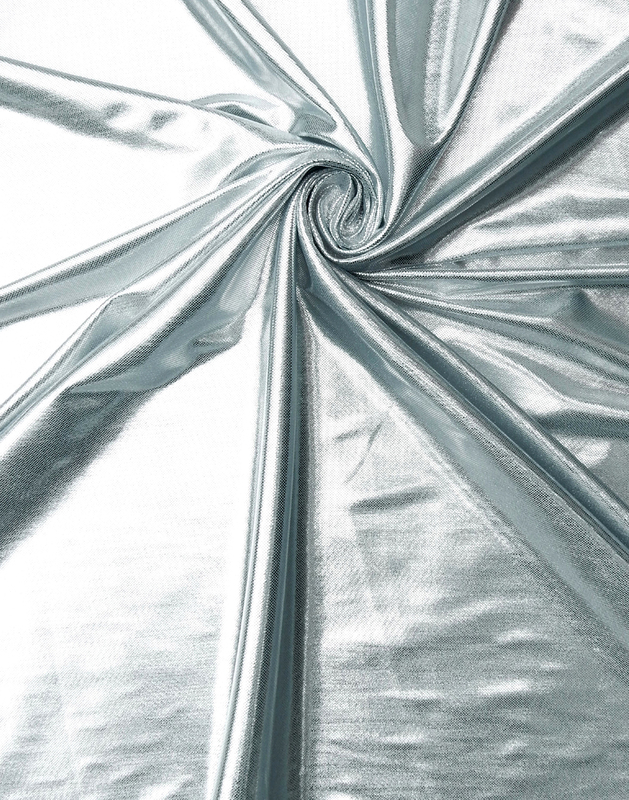 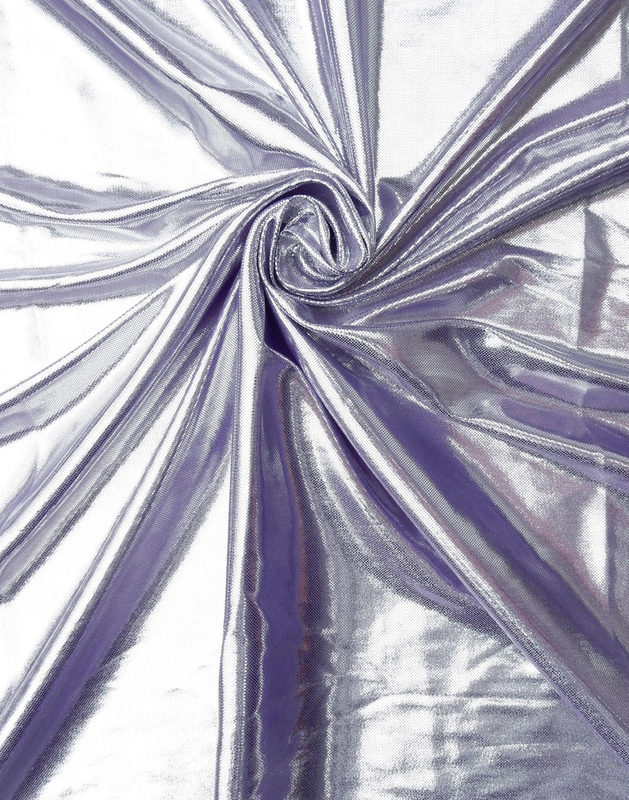 Traditionally only available in gold and silver, Lamé is produced from a blend of metal and polyester fibers. 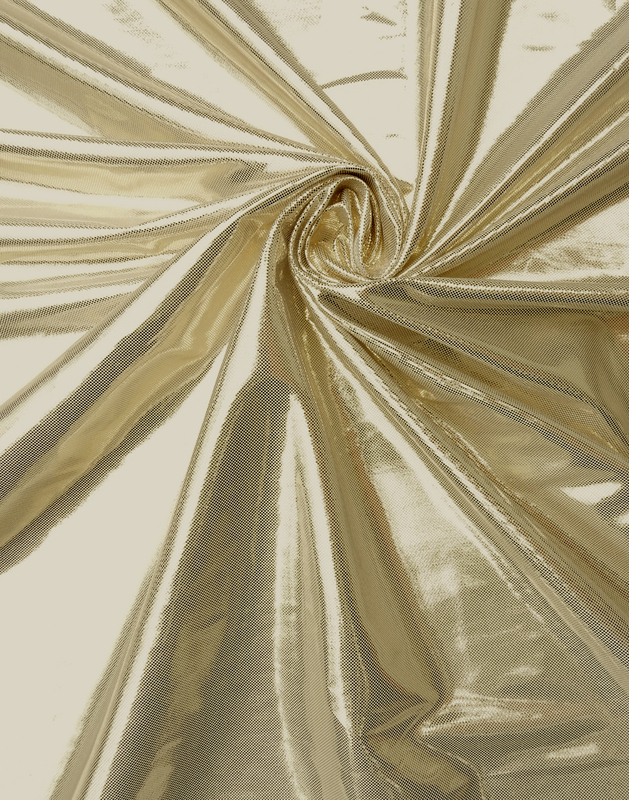 Our Liquid Lamé possesses a metallic face with a knit back, producing a glamorous and shimmery effect. 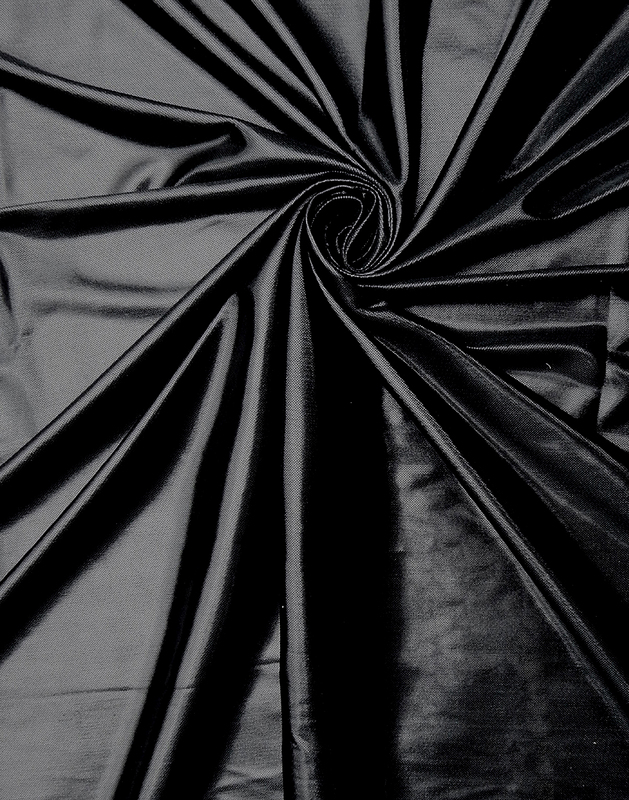 Those unique characteristics combined with a smooth surface and beautiful drape, create the ideal backdrop or performance costume for the theatrical industry. 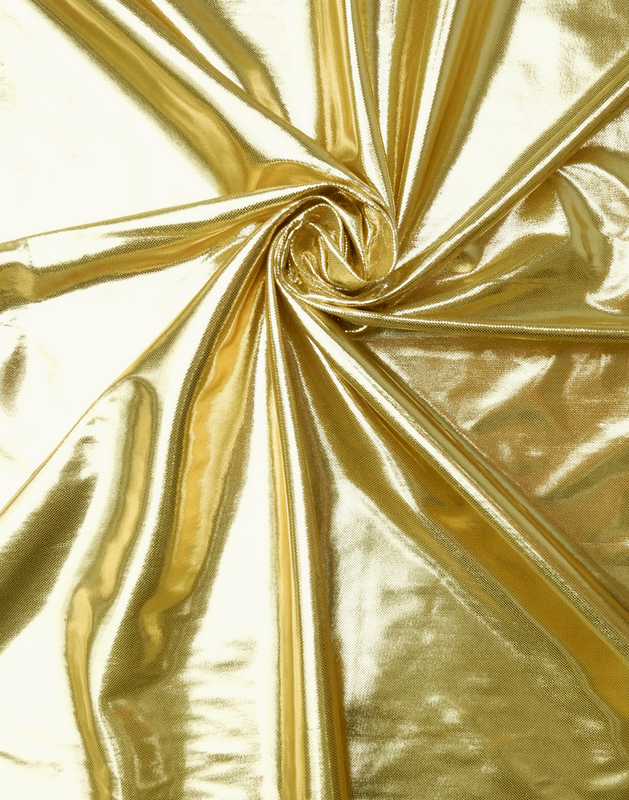 Other uses include apparel, dance, party décor and crafts.